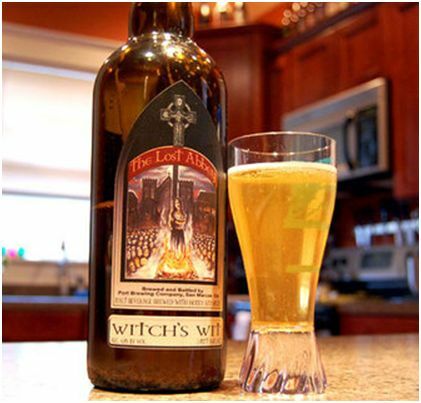 According to Gawker.com, Wiccans “flexed their muscles” and managed to convince the makers of “Witch’s Wit Ale” to change their company’s logo. The beers had previously featured a picture of a witch being burned at the stake. However, an actual witch wrote a pissed off letter to the New York Times resulting in a feature and eventual campaign by Wiccans to convince the beer company to change their logo. Mission accomplished. The company has relented and agreed to change the labels on all of its beers. 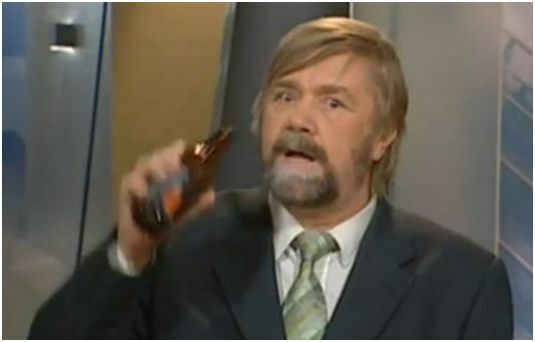 In a Ron Burgandy-esque move, Finnish television news anchor Kimmo Wilska has been fired after cameras cutting back to live action caught the man taking a swig of beer from a bottle used on set during a story. 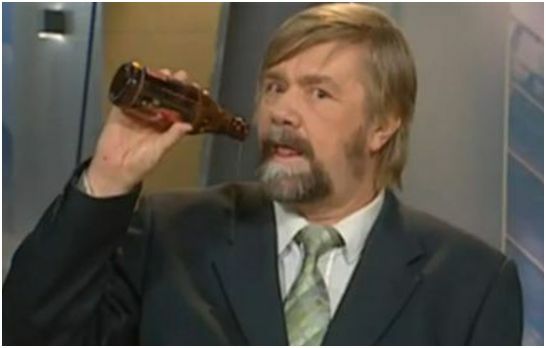 Fans who are outraged that the “Barry White of Finland” got canned have started a Facebook site demanding Wilska’s reinstatement. The Great Lakes Brewing Company has decided to “honor” departing Cleveland basketball star LeBron James by naming a beer after him. The Cleveland brewery says “Quitness” will be a “dry and bitter ale” in honor of LeBron. The company instantly sold out of its first 30 gallons of the new brew. Several European microbreweries have embarked on their own series of beer wars in an attempt to see who can make the stongest beer with the highest alcohol content. The winner? 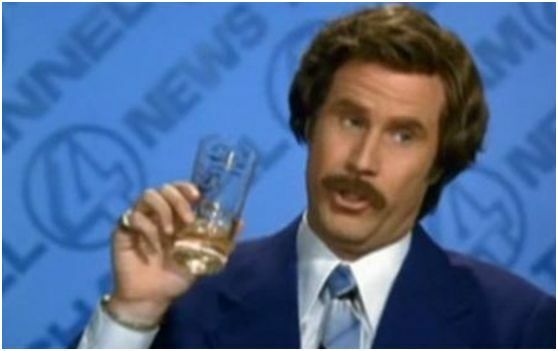 A Scottish beer company called BrewDog has come up with a beer that is nearly 40% alcohol by volume. 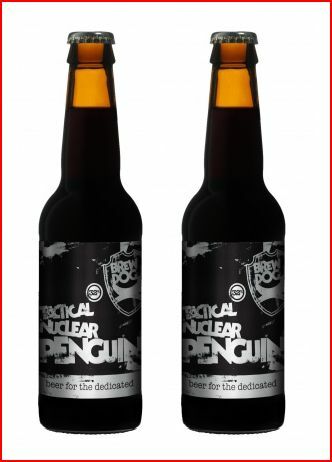 Tactical Nuclear Penguin beer will be sold at select Whole Foods stores in the U.S. It is SIX TIMES stronger than regular domestic American beers like Budweiser. President Barack Obama has paid off a bet with Canadian Prime Minister Stephen Harper. The pair had wagered a case of beer on the outcome of the Olympic gold medal hockey game between the U.S. and Canada. 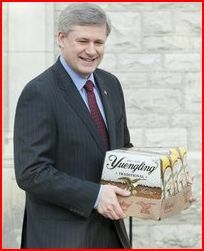 The Canadian prime minister received an extra case of Yuengling (in addition to the agreed upon Molson) following Canada’s victory. 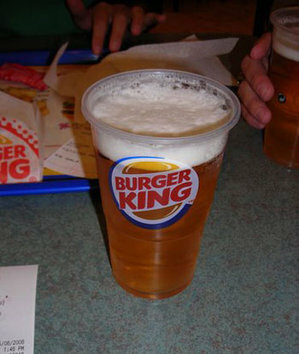 Burger King will soon be selling beer. BK announced its “Whopper Bar” concept on Friday. The fast food giant says it will begin selling beer at a Miami location soon with plans to eventually add beer sales to restaurants in Las Vegas, New York and Los Angeles. Combo meals WITH A BEER will sell for $7.99. That’s $2.00 more than the same meal with a soda. Wonder if they super size? 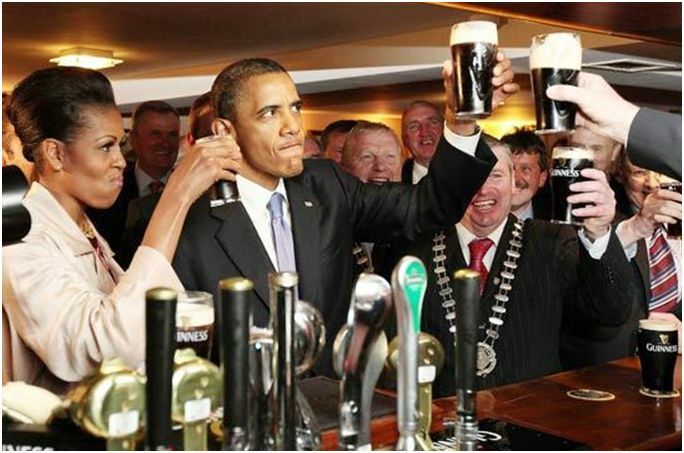 ARE BEER PRICES A CRIME? Ever since American beer giant Anheuser-Busch was purchased by a monolithic corporation of Euroweenies they have slashed their advertising budget. The result? A torrent of “investigative” media pieces on the price of beer. ABC News raised the question yesterday of whether the Justice Department should begin looking into price fixing by Anheuser-Busch and MillerCoors. Miller and Coors operate under a “joint venture” agreement. Combined with Anheuser-Busch (the makers of Budweiser), those companies control 80% of all the beer sold in the U.S.
Would the nearly bankrupt Times have run that article if Anheuer-Busch had INCREASED advertising? Maybe. Maybe not. You know the advertising climate has changed when the daily paper in St. Louis basically accuses Budweiser of lying about their costs as an excuse to raise beer prices. Philadelphia Phillies outfielder Shane Victorino and the Chicago Cubs have filed a formal police complaint against rowdy fans who dumped a beer on the outfielder’s head yesterday. That could result in criminal charges against the fan or fans who doused Victorino with beer. Worse, the Cubs are reportedly considering a temporary ban on selling beer at Wrigley Field.